4/3/18: There will be a well-attended public comment session at Bellingham City Hall on April 9th referenced as "ADU Ordinance." ADU stands for Accessory Dwelling Unit. Such living quarters can be "attached" or "detached" (DADU). A proposed ordinance to facilitate ADUs and DADUs city-wide is a bad idea for many reasons. It will mean Single Family Zones would essentially be a thing of the past. Please submit your comments online today in order for them to be included in the meeting packet. Sending comments after 8am Wednesday April 4th is still important and will be considered and documented, just not included for the April 9th packet. You may deliver letters to City Hall at 210 Lottie St., Bellingham WA or send emails to the City Council at ccmail@COB.org. The City Council phone number is 360-778-8200. 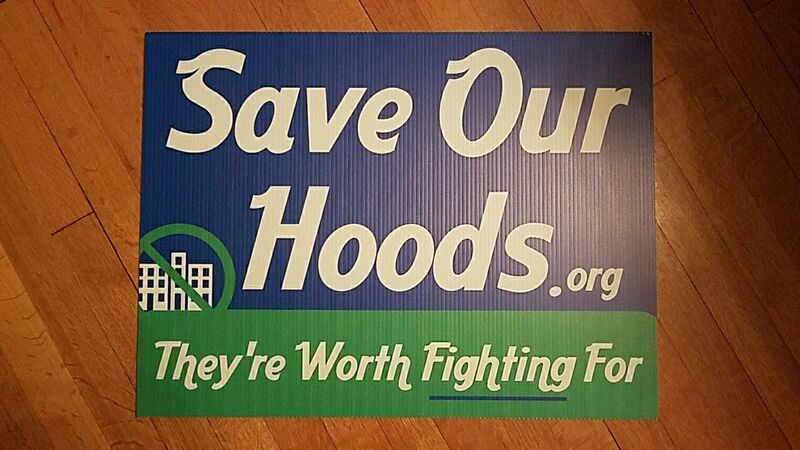 If you prefer, there is a group letter you may sign at: SaveOurHoods.org/letter. Attend the 4/9 meeting if you can and speak up. Your arrival at 6pm will ensure an early speaking opportunity. For talking points, see SaveOurHoods.org, or herebelow. I am concerned with the harmful impact of excessive development on a variety of conservation responsibilities we have. These include preventing soil erosion, assuring clean and abundant water sources, facilitating safe corridors for wildlife, making coastal habitats safe, and preventing air pollution. Officials where I reside are in an ongoing discussion about code revisions the City of Bellingham is considering that would facilitate some or all areas presently zoned for single family homes to be allowed development of "Accessory Dwelling Units" on owners' properties, subject to many stipulations. There are publicly viewable comments on this proposed ordinance that have been submitted online and the Planning Commission is expecting a large turnout at their next meeting on January 25, 2018 at 7pm. Mention of the upcoming meeting is at the Planning and Development page. I believe it is an important issue for Americans to participate in whenever their jurisdiction is dealing with it. It is part of the "Smart Growth" vs. "Dumb Growth" conundrum which perhaps doesn't have a solution, but it's vital to try. There are many sources of information this topic and on ADUs and DADUs (Detached Accessory Dwelling Units) that are easy to find online. There are specialists in many fields (construction, real estate, law, etc.) 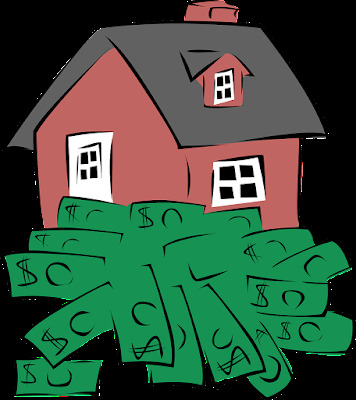 who as proponents are consulted by homeowners and developers who want to "cash in." Some people debate whether such zoning changes increase or have no effect on the availability of places for low-income or homeless people to live. Regardless of whether they were to increase housing inventory (citizens, homeowners, economists, developers, government officials, investors disagree with each other), I am of the opinion that apartment buildings are more suitable than attached units or backyard flats for low-income people. Multifamily residences with proper accounting, regulation and site management are easier for the tenants, for the owners, and for the public authorities to monitor in an orderly fashion. I feel it is a specious and illogical argument to base a policy about development on the homeless crisis. There is land available in this locale to provide more multifamily choices. Multifamily complexes economize on the use of land, air and water. There is one source of water in the City of Bellingham and one wastewater treatment plant. Upzoning single family zones into something different (variations of multifamily) may not be efficiently supported by the current infrastructure in single family zones. As a low-income person, I rent a unit in project housing and share the hope of peace and shelter for all. I take issue with pro-ADU/DADU folks accusing the other side of being heartless about the homeless calamity (see HUD report quantifying homeless people in USA during 2017). As a one-time real estate agent, I dreamed of owning and residing in a single family home. If I did, I would not be able to tolerate neighbors digging, hammering and sawing their ADU and DADU dreams next door to me - and what if neighbors simultaneously did that on all three sides of a home!? Nor would I enjoy loss of trees, birds, or the addition of badly-behaved tenants wreaking noise, debris or other havoc. An investor in another region told me that his city was embroiled in the question of allowing the city to reap rewards by partnering with developers versus allowing private property owners to create and enjoy lucrative investments. They were not centering their arguments around whether or not more affordable housing for low-income people would be achieved. I don't think the City will be able to effectively regulate and monitor ADUs because the contingencies and ramifications are too complex and unwieldy. Recently the City Council passed an ordinance declaring that people should not feed deer, but the Council at the same time admitted that it would be tough to control. The Whatcom Humane Society, which is contracted as the City's "Enforcer," even advised against the ordinance explaining that it would be awkward to try to enforce, that they don't have the resources, etc. I presume that if the City can't control people feeding deer, they cannot control the details associated with ADUs and similar activities. The City has a new department that is supposed to monitor apartment building management but according to some local media reports isn't performing up to expectations. It is a good step but if the City is having a tough time with that, they will have a tough time with overseeing and enforcing D/ADU rules. Neighbors' rights to quiet enjoyment should be respected. It will be challenging to enforce noise ordinances or litter laws, and to control anyone with a hammer and a truck who wants to remodel space into an ADU or rent rooms, basements, and attached sheds to passersby. The City has a page promoting Landscaping for Wildlife. They used to enlist volunteers (maybe they still do) to mentor other citizens to enhance their backyards for wildlife and even qualify for certification as a garden for wildlife. I believe this positive idea goes directly against the idea of development on single family plots. Another aspect of the problem is that current homeowners may be taxed additionally to pay for growth. Governments might sweeten deals with ADU developers to entice them and thereby create a spiraling need for more new taxes. Consider the example of Springfield OR which waived transportation, stormwater, and local wastewater system development charges on newly permitted ADUs in an effort that is supposed to create more affordable housing. You can read more about Bellingham WA ADU/DADU topics at Save Our Hoods which is a website containing general articles as well as specific notes about the present Accessory Dwelling Unit Ordinance being reviewed by the Planning Commission and City Council. The current Agenda Packet of the ordinance provided by the City online is a 375 page pdf! The Don't Ballardize Bellingham Facebook page is maintained by the owner of Save Our Hoods and includes an event notice for the January 25th, 2018 meeting.